Note: Image taken from a mod that upgrades Garrus’ Mass Effect 3 textures to 4096x4096(4K) resolution. Vanilla on the left, modded on the right. Mass Effect: Andromeda is now three months old. Hard to believe we waited years for it and a lot of us were, quite frankly, really disappointed with the final product. Kotaku’s recent article on what exactly happened over the course of its development brought it to the forefront again. In the aftermath of its release, the studio that developed it, Bioware Montreal, has reportedly gone back to being a support studio for Bioware Edmonton and Bioware Austin, and the Mass Effect franchise has been put on ice for the time being. For fans of the series, I doubt having it put on ice was what they wanted, but that’s the reality of it. Sales combined with the mixed to negative reception has led to that result. Up until now, EA has had a very firm stance on remastering old games: They don’t want too. Their argument is sound, they want to focus on new games rather than reselling old games with a new coat of paint. But there is some decent logic in favor of remasters and in this case it would probably be a good idea: Gauging fan interest. Remasters, by their very nature, are nostalgia bombs no matter how old the games might be. That isn’t to say that the Mass Effect games are out of print or hard to find. No, they’re everywhere, and as the above image shows, modders have basically already done what EA hasn’t. But considering the polarizing reception of Andromeda, a lot of fans might flock back to the original three, which, despite the controversial ending, are still largely considered some of the best games of last generation. Rereleasing them in a remastered form for Xbox One/Xbox One X, PlayStation 4/PlayStation 4 Pro, and PC would allow them to see just how much interest there still is for the franchise. Granted, it wouldn’t be exact because some fans are content with what they have, but a large number of sales would at least show that many fans are still around. This tactic has been used in the past before with Zone of the Enders and Devil May Cry. In 2012, Konami put out a Zone of the Enders HD Collection for Xbox 360 and PS3. The goal was not only to put ZoE back into the minds of players while the third game was being worked on, but also to gauge interest in the franchise since it had been nearly a decade since the second games release. Due in no small part to technical issues, the collection sold poorly and Konami pulled the plug on Kojima’s third entry temporarily. After the beginning of the current generation, Capcom put out remasters of both DmC: Devil May Cry and Devil May Cry 4. The former was an obvious choice since it was the newest entry, but DMC4 was strange considering it was quite a bit older. The intent was to see which one fans gravitated towards more, and the one that sold the most would have a sequel taken into consideration(Note that this is mostly speculation, I can’t recall if any official statement was made on the subject.). Rumors have been swirling for a while now that Devil May Cry 5 is in development, meaning that either DMC4 won or Capcom just decided to go with it, and the rumor is backed up by the director of DMC4 not denying its existence. At the end of the day, some remasters are indeed unnecessary, but at the same time some are useful for getting a feel for the current market. 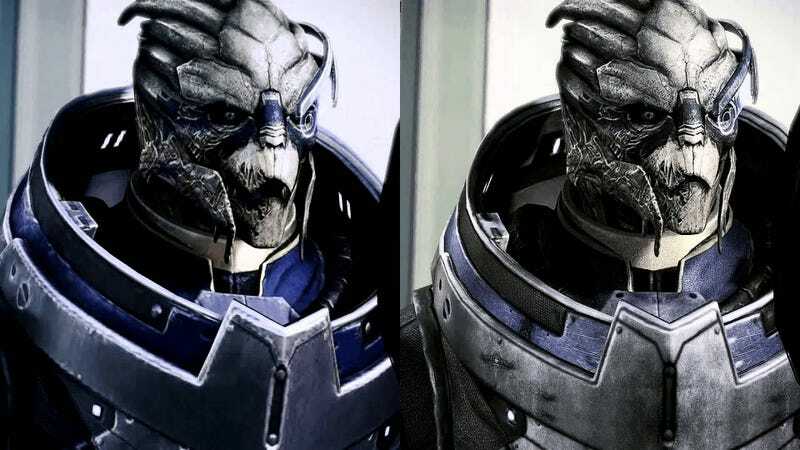 A Mass Effect remaster might help EA decide just how soon to pull Mass Effect off the shelf, though whether it will go back to Bioware Montreal for a second chance or be handed to another studio is obviously up for debate. And while you’re at it EA, perhaps we could get a Knights of the Old Republic remake? Maybe a Dragon Age: Origins remaster?